If you read my status updates on Goodreads, you'll know that I was not a huge fan of Rogue One and thought that this would help me get more into that story and the character of Jyn. However, that wasn't really the case. As well, I wouldn't really classify this as a YA novel because even though Jyn is a teen during the novel, it never really feels like she is a teen and the novel ends with her in her 20s. I divorced this story from the canon and found myself enjoying it more as just a space opera rather than recognizing it as part of the Star Wars mythology. I did like Jyn and I felt Revis did a good job of explaining her actions, feelings, and motivations. I felt like Jyn was a kindred heart to me and could really empathize with her situation and the choices she made. Although I would say that I would have liked for Jyn to take more responsibility for her actions and try to get out of situations in different ways. It never felt like she was trying that hard to change her place. I liked the production of the audiobook since they had background noises and a lot of extra stuff added to it which made it feel more like a Star Wars novel than just any other novel. The narrator, Rebecca Soler, did a good job of making each character that Jyn interacted with sound different, unique, and like a real person based just on their own voice. I definitely gave this one an extra star based on the audiobook production alone. It can definitely make or break a book for me. 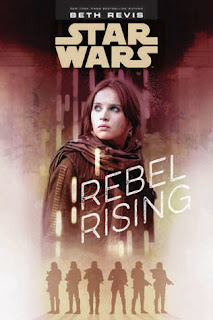 I think Revis is a great writer and I've enjoyed her other novels, I just was not a huge fan of Rogue One and this didn't help make the case for me to rewatch it and enjoy it more. I feel as though I am missing out on something great since everyone else seems to love it but I just can't get there for some reason. However, the world building was pretty good and I felt like I could see each spaceship, planet, and group of people because they were so adequately described. This is a great space opera novel and it has dark undertones which I always enjoy. 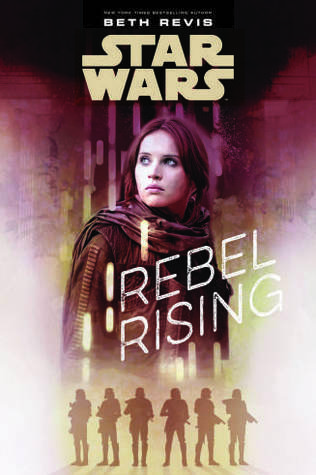 I would break this one down for you like this: if you liked Jyn and Rogue One, you will like this book. If you didn't, don't bother. If you like space operas, you will probably like this one as well. It is a good novel and has a lot to offer, it just wasn't the book for me.